Some gaming sites that let you purchase items usually offer things such as shirts, keychains, socks, and other odds and ends. That's good and all, but how about some neon lights? Well the folks over at FanFit Gaming have you covered...well, at least if you're an Overwatch fan. Even if you're not the lights themselves look pretty good. The website also has some other Overwatch stuff such as Funko Pop figures and and pennants, plus the website says that some apparel is coming soon. 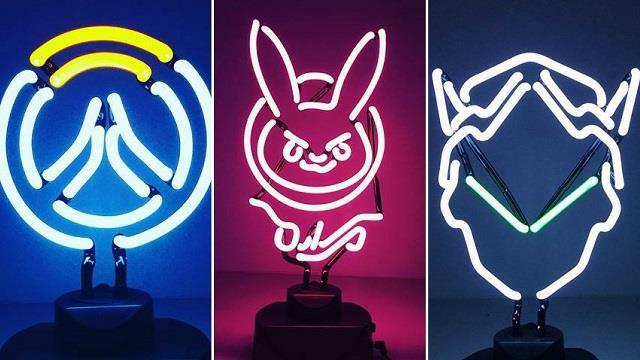 Granted I'm not an Overwatch player, but I will say that the lights themselves look pretty cool. I'm not sure if they'll eventually have items for other games, but if you're an Overwatch fan, this might be a site to check out.